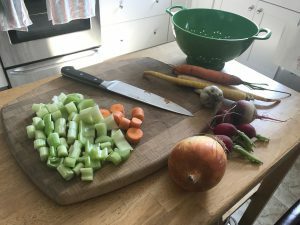 Fall is just around the corner and it’s getting to be that time again…you know, the time to cozy up with a warm bowl of stew! Mmmmmmmm. I love stews. Don’t you? They are so so easy to make, first of all. I mean, the hardest part is chopping veggies, and really that’s meditative to me. It’s a time to stop everything else that I’m doing and just be present (because if I’m not present I might end up with half a finger). They are also delicious, and really hard to mess up. 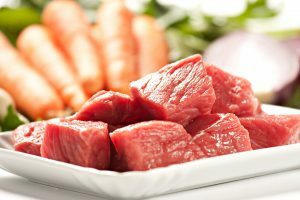 If you’re using good quality grass-fed or pastured meats and local organic veggies you really can’t go wrong. It’s actually amazing to me. 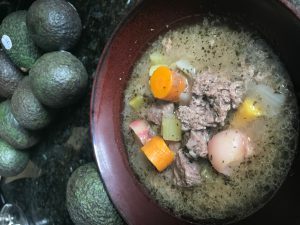 You can literally just throw the meat and veggies into a pot with a liquid and they create this magical delicious meal. 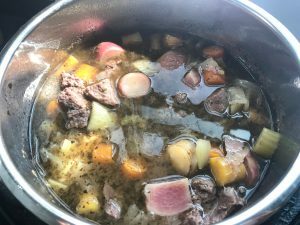 And then…the Instant Pot. Well, you know how in love I am with my Instant Pots. Yes, I have four. And yes, I use them all all the time. Anything you put into an Instant Pot turns into this melt in your mouth perfection of a meal in no time. And the Instant Pot is so smart it actually holds nutrient quality better than any other form of cooking! I could go on…but I won’t. But seriously, get your Instant Pot now, and if you already have one, make it handy. Place beef in bottom of pot. Throw chopped veggies (including garlic and ginger) on top of beef. 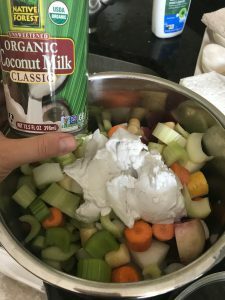 Pour broth and coconut milk over beef and veggies. Add spices and bay leaf. Turn knob to “Sealed” on Instant Pot and press the “Beef/Stew” button. That’s it. Top with avocado and/or herbs if you like. 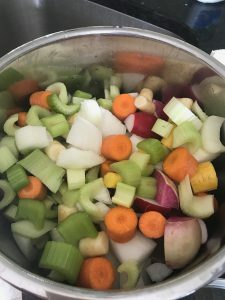 Please try this recipe – it seriously will become a fast staple this fall and winter in your house! When you use the ingredients I recommend, this is packed with nutritional benefits, and will even help stave off any nasty cold-weather bugs! Enjoy! This website may, from time to time, endorse various products and/or services that we believe will benefit you in your quest for improving your life and health. It may be true that this website and its owner will receive compensation for these endorsements should you choose to purchase said products or services. In fact, in such cases, you should assume that we are an affiliate and will be compensated. Having said that, this website and its owner will only endorse products and/or services in which we strongly believe, or which we have used ourselves. By using this website, you hereby consent to the disclaimer and agree to all terms, policies, and conditions.